Chatbox aims to end texting dead-ends and enhance the mobile customer service experience with new messaging platform. A couple of weeks ago, standing on an NYC curb, just about to jump in a cab to the airport, I received a text message from our corporate travel service notifying me that my flight had been cancelled, and agents were standing by to help me rebook. We've all been in some variation of this scenario, right? As grateful as I was to have received the text alert, I found myself a bit irritated, too. Intuitively, I knew that "standing by" didn't mean I'd be able to reach a live customer service agent via text but rather would have to call. But since the message didn't specify that, just for kicks I texted back anyways. As expected, the company's response to my text directed me to a phone number to call. All the while, I kept thinking how all the more frustrating the texting dead-end would be for the average consumer, one who doesn't follow communications developments for a living. And lest you think I might have tried the airline app -- hah! My attempt to rely on the airline app was futile. Not only did the app show my original flight departing as scheduled, it even showed arrival time and told me at what carousel I'd find my luggage. It never showed my rebooked flight, even though plenty of time had elapsed, since I wasn't able to fly out till the next morning, some 18 hours later. My recent customer experience fail is just the sort of situation that four-year-old startup Chatbox aims to eliminate with an integrated messaging platform that lets companies interject an app-like experience within a messaging exchange. 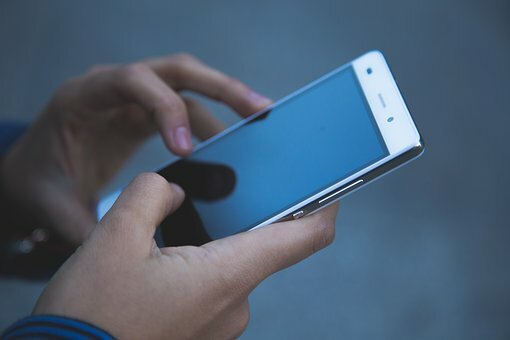 With Instant Apps, one of the technologies provided with the Chatbox platform, that message I received from the corporate travel service could have come along with an app-like experience, on demand, and tailored to my needs, Chatbox CEO Phil Gordon told me last week in a No Jitter briefing on platform availability. "You, the diamond plus platinum traveler with the car rental reservation you also need to change, receive the next five flights available, designating the three with first-class seats available, and 'click this checkbox if you want us to change your car rental reservation,'" Gordon said. "And my experience, since I don't have first-class upgrades available and no rental reservation, would look a lot different than yours." Messaging alone isn't the right medium for complicated structured data like an interactive list of alternative flights, Gordon said. That'd require one message after another listing out each flight option -- "and God help you if none of the five flights presented in the messaging flow work." To get some perspective on the type of mobile experience Chatbox is delivering, I chatted with Mike Facemire, a VP and principal analyst at Forrester who focuses on visual experiences. Extending messaging with chat and enabling some sort of Web-like experience are part of the evolving mindset companies have regarding mobility as a facilitator for customer experience, Facemire said. "Forward-looking enterprises are now starting to look at building a portfolio of mobile digital experiences. ... Gone are the days of chasing the coolest thing, of putting a carousel here because we can. Now it's, 'What does the customer want?'" Facemire uses Dorothy's experience in the "The Wizard of Oz" as an example of how things should work in the future. "When Dorothy says, 'I want to go home,' a whole lot of things start to get put in place for her. Dorothy didn't go around putting those things in place... she didn't put the lion there. Those things came in to solve a problem -- and the same thing will happen with the digital experiences companies are creating," he explained. In other words, you shouldn't have to load your airline app or look at a car rental site if your flight is cancelled. Instead, once the flight is cancelled, an artificial intelligence (AI) engine running behind the scenes should immediately pull everything together to deliver a personalized, dynamic experience that addresses your need to reconfigure your trip, Facemire said. Chatbox begins to get at this. With the Chatbox platform, companies can use the Instant Apps drag-and-drop builder to create a wide range of personalized customer experiences across a wide variety of messaging channels, including SMS, live chat, Facebook Messenger, Twitter, and more, Gordon said. In addition, the Chatbox platform is compatible with third-party AI engines like Amazon Lex and Google DialogFlow, and supports integrations with CRM and other backend systems via APIs. In action, a bot detects a query using natural language processing, then within the channel delivers an app-like experience that fulfills the query. The app sends the data back to the bot, which in turn syncs with the appropriate backend systems, he explained (see video below for more detail). Should a customer want to opt out of the digital experience and instead speak with a company representative, the platform delivers the full context of the automated conversation, as well as all data collected by Instant Apps, to the contact center agent. And, wrapping it all up, Chatbox delivers real-time analytics on the messaging experiences, Gordon said. Companies already using the Chatbox platform include General Assembly, Travel Leaders Group, Coast Workplace Solutions, and Progrexion (Lexington Law and CreditRepair.com). In addition, Chatbox has licensed its Instant Apps technology to the Oracle Mobile Cloud Enterprise Intelligent Bots platform, the company announced. The Chatbox platform is one of the first of its kind, Forrester's Facemire said, in that it allows companies to build what he calls "a progressively enhanced overall experience." By that, he means, a company can start the customer conversation with a text message and chat, then offer up an app component -- an interactive list of flight rebook options, say -- to round out the experience and more quickly remediate the service issue. "It's the first one I've seen that allows for the holistic creation of an overall chat-driven experience that can be enhanced for a better set of user experiences," he said. But, Facemire added, it won't be the last. "This is what customers want."